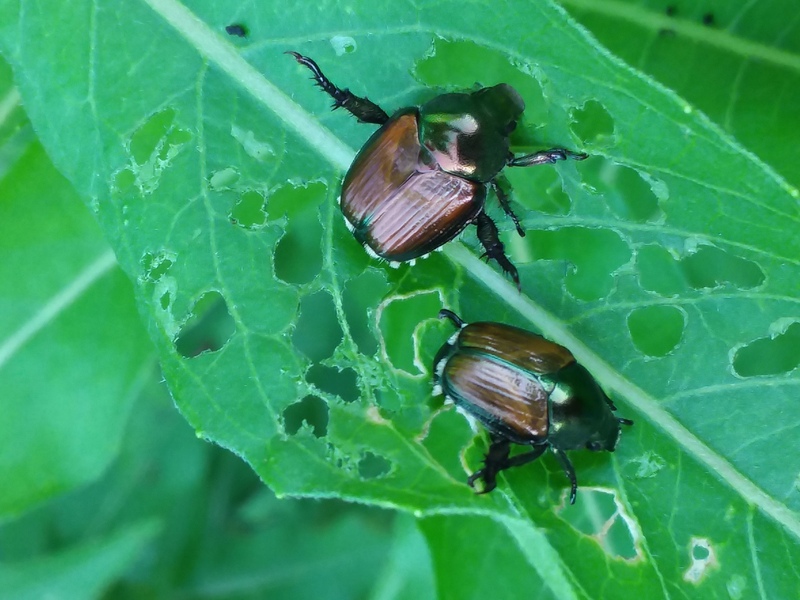 Earlier this week, Joe Boggs reported localized high populations of Japanese beetles via a BYGL Alert, Japanese Beetles Abound - http://bygl.osu.edu/node/811 The report included excellent photos and on the ground reports from BYGL readers. I wanted to add a NW perspective. Last evening I spoke to the Anthony Wayne Garden Club about horticultural pests at the Toledo Botanical Garden Conference Center. What was supposed to be a top ten pest list, quickly became 25 samples that were circulated for members and their guests to diagnosis. Many of the gardeners present during the program commented that they were seeing high numbers in their own landscapes. Following the program, I headed out to the Garden for an evening stroll. Populations were evident on their favorites including roses, grapes and basswood. They were also working hard on the evening primrose in a naturalized area.